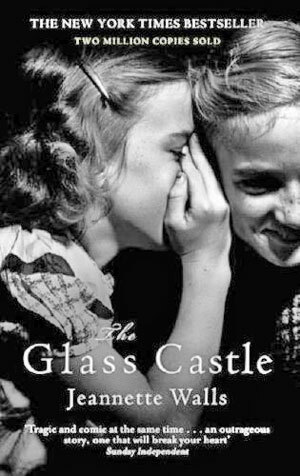 I've been reading the best selling memoir The Glass Castle by Jeannette Walls this week knowing the film was due out in theaters today. The book was on the NY Times best seller list for years, possibly because the story of the plucky band of kids who not only survived their upbringing by a pair of parents ill-equipped for the job but who ultimately triumphed despite that, is reassuring. The Walls parents—the alcoholic father full of big plans, dreams and schemes who always self-implodes and the self-centered mother who believed raising children was a matter of letting them fend for themselves while she pursued her art—make any of own parenting shortfalls meaningless. Short of abuse—there was never any physical violence or sexual abuse—this couple is so haphazard in their parenting, so negligent in the basic duties of care, it really is a wonder the kids, especially Jeannette, the writer, lived to tell about it. They travel across the country from the deserts of California to the freezing cold of West Virginia's coal country enduring a father who steals their hard-earned money, a mother who admonishes them to eat around the maggots, living quarters where floors and ceilings cave in, where beds are cardboard 'mattresses' suspended from the ceiling, where toilets are little more than a bucket in the kitchen and food is what can be retrieved from a dumpster. They deal with being ostracized and bullied by their neighbors and classmates, usually poor too but nobody is as impoverished, as smelly, as as downtrodden as the Walls. As much as they struggle, we also see the kids are incredibly bright, even advanced—I tweeted in the week that Jeannette was as smart at age four as I am at sixty four—blessed with gifts that help them overcome it all. To be honest, the book is a litany of all the horrors they faced, beginning with early childhood. At some point, for me, it became a bit redundant. What now?! I found myself thinking. And oh, no, how could he? Not again. I admit, part of me, that small mean-spirited envious part of me, wondered how she could remember all those details. Was it all really true? Apparently it is. I'm disappointed to say that yours truly, champion cryer in the world, shed not a single tear during my reading of the book. I'm not sure what that means but perhaps it's because Walls doesn't feel sorry for herself, not one iota. She doesn't cast blame, doesn't spend much time wondering how much more someone as clearly gifted as she, might have accomplished with more hands on parenting. She doesn't need to. In spite of everything, Walls accepted and loved her parents, and didn't wait for them to get it together. She got it together herself. Remarkable, really, but as I say, not a story that broke my heart. Why would it when everything turns out so well for everyone? Still, I'm looking forward to seeing the film with Brie Larson as the older Jeannette Walls with Woody Harrelson as her charasmatic, heavy drinking daddy and Naomi Watts as the distracted mother. FYI I kept seeing a young Sam Shepard (RIP) and Sissy Spacek when I was reading the book.